Dream Tag™ stickers come in packs of 25 and are only $.99 per student. 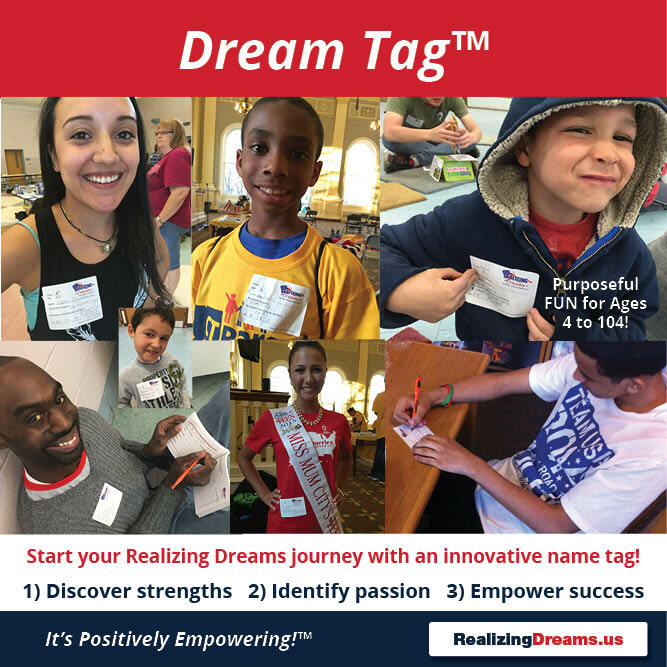 A Dream Tag™ is an innovative name tag that helps all ages quickly identify their strengths, dreams, and passion in life. To build on and scaffold the learning, also consider getting our inspirational Positive Pen™ to complete your Dream Tag™ and the companion reflective action journal, 7 Steps for Empowering Youth: Self-Awareness Developing Grit an d Growth Mindset. 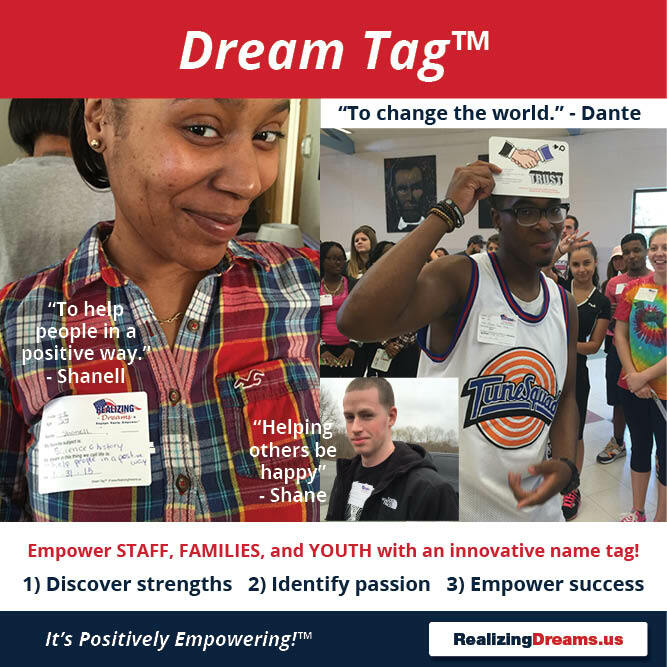 You will see the program continuity as the Dream Tag™ is ALSO on the inside FRONT cover and Step 1 in 7 Steps for Empowering Youth. 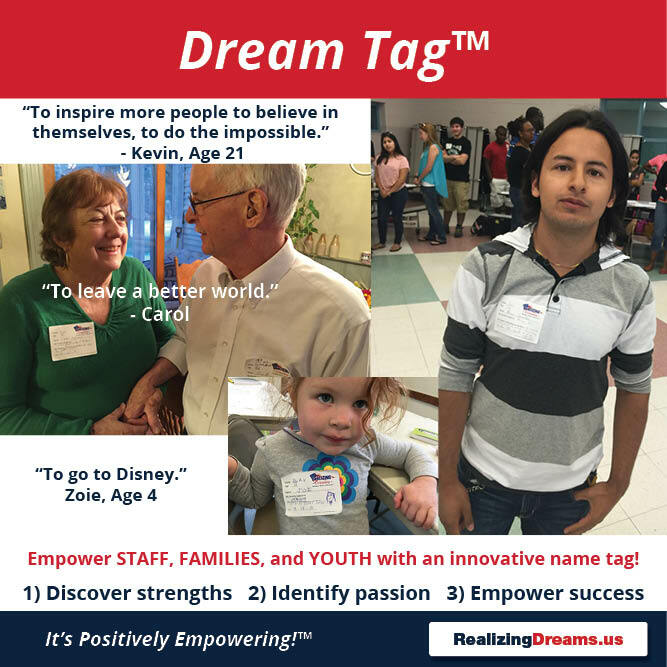 Invite all ages to complete their Dream Tag™. In small to large groups, turn-and-talk. Introduce yourself, ask each other to share what they wrote on their Dream Tag™. This purposeful ice-breaker helps you also quickly identify who may need a little more help in figuring out their strengths, dreams and passion.